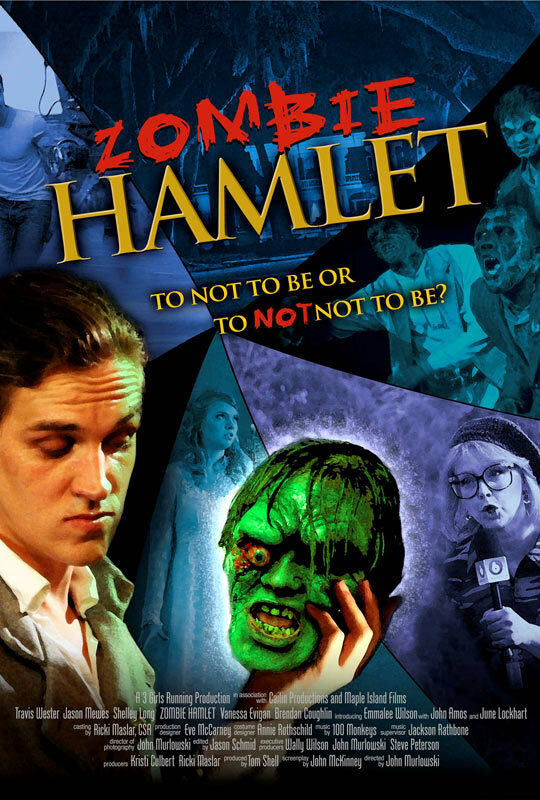 Zombie Hamlet. Dir. John Murlowski. Perf. John Amos, A.J. Buckley, and K.C. Clyde. 2012. Zombie Hamlett. Not Yet Released. We have had Rosencrantz and Guildenstern are Undead (for which, q.v.). We even have Romeo and Juliet vs. The Living Dead (review—or at least scattered commentary—forthcoming). And this morning I learned of Zombie Hamlet. Every year, one or two students in my Shakespeare and Film class pitch a Zombie Shakespeare idea. Usually there's also a Civil War Shakespeare in there. This soon-to-be-released film combines the two under the glorious tag line "To not to be or to not not to be." Note: I returned to this film later in the blog's history. Links: The Film at IMDB. Official Movie Trailer. Finally a film worthy of adults as a farce and kids as a comedy!